Bob Millard sent me his story as a voice recording, along with some text and photographs. He labelled it "The Bath Resistance Movement" I have used some of the photographs to illustrate this typed version of his oral history. It's November 2002, and this is Robert Winckworth Millard recording for the 2nd World War Experiences Centre his experiences in the Bathampton Patrol of the General Headquarters Auxiliary Units between September 1940 and September 1942. I was born on the 1st January 1923 in Bath. My father was a chief engine room artificer in the Royal Navy, and at the outbreak of war he was serving on the China Station in Weihaiwei. My mother was a schoolmistress, and I had a younger brother. The picture of Bob (right) was taken in 1940. I was educated at the City of Bath Boys School, Bath, and in September 1939 I was due to go to Exeter College to train as a teacher of handicrafts. But on the outbreak of war this course was closed as they were using the facilities to train Ministry of Defence employees, so I became a pupil teacher under the Bath Education Authority. In 1939 when war was imminent, the Civil Defence started a series of lectures and I attended a course of Civil Defence lectures to become a Messenger. On the outbreak of war, I reported to the local fire station in September as a messenger. This meant that I had to take my bicycle along with me, and I attended the Watch Room for three nights a week, and if there were a raid and the engines were called out, I would have to report to the fire station and go along with the engines with my bicycle. Of course, in those days there was no such thing as radio contact between the station and between engines, so it was all done by messenger. In the summer of 1940, after Dunkirk, I joined the LDV. This was just like Dad's Army. My first patrol was on the back of a motorbike, civilian clothes, LDV armband. The chap driving the motorbike had a shotgun across his back held with a cord, a piece of string, and I was armed with a piece of pipe and a bayonet. We were supposed to patrol the local golf course in case parachutists dropped, but fortunately they didn't. The LDV developed into the Home Guard, and the Bathampton Platoon which I was in, used to meet twice a week at the church hall in Bathampton for general drill and practice. We had the odd lecture on tactics. We were shown how to use and throw dummy Mills Bombs. We were introduced into rifle drill, bayonet practice and the usual training routine. The post which we manned was on the Warminster Road, just south of Bath, by the old Dry Arch. We had a sandbagged post, and we also had a slit trench with machine gun post that was up under the Claverton Woods, which would cover the valley and the main road. We were there for one night a week and at weekends, and we shared the duties with another platoon. In early September 1940, when the threat of invasion appeared imminent and we were all mustered to stand to, we were on duty and we put knife-rest barbed wire blockages across the road so that any vehicle coming down would have to zig-zag between four of these blocks to pass us. Sometime after eleven o'clock, two of us were on sentry duty with the Sergeant, and three or four cyclists from Bath came down the road. They were obviously lads who had been out on the beer and were coming home. We challenge them - "Halt! Who goes there?" and got the answer "Bandwagon". "I'll Bandwagon you, you buggers", said the Sergeant and stuck his stick through the wheel of the front bicycle. This caused it to stop very suddenly, throwing the cyclist on the road and the other two piled into a heap after him. Fortunately, nobody was seriously damaged, but the Sergeant gave them a good ticking off and they went off complaining, having to push the damaged bicycle. It was shortly after this that I had my first experience with the Auxiliary Units. On sentry duty again, somebody turned up with a blackened face, smoking a cigarette, talking to the platoon officer. About 5 minutes later there was a sharp report behind the sandbagged hut. "Your sentries aren't much good", he said to the Platoon Officer. "I've just blown your hut up." It turned out he was a chap called Bert Dolman, who was in an Auxiliary Unit patrol. My friend Anthony Bentley-Hunt got to hear of the Auxiliary Units before I did, and within a week he said to me "Do you want to join something which is a bit more exciting than the Home Guard?" and I said "Yes, I'm willing to try anything". So we went to a house in Bathwick Street where we met a chap called Jack Wyld. He asked us all about our families, about our knowledge of the neighbourhood, our knowledge of weapons. He produced a 9mm Baretta, I remember, which he field stripped in front of us and said "Can you put that back together again?" Fortunately, being of a practical nature and watching what he was doing, I could. "Right-ho" he said, "come back in a week". When we went back in a week's time he said "I've had you checked out, and do you want to join my unit?" I said "Well what unit's that?" He said "It's called Auxiliary Units. Our job will be to go underground if there is an invasion, bob up behind the Germans, and act as saboteurs". Well, to a teenager, it sounded very interesting, so we said "Yes, we would". Before that though, before he mentioned it to us, he said "If you are going to join, I'm going to have to swear you to secrecy." So we were sworn to secrecy and had to sign the Official Secrets Act before we were told any details. The organisation of the Auxiliary Units was very clandestine. We didn't really know what was happening. It was all very much on a "need to know" basis. Our sergeant, Jack Wyld obviously had a contact outside of the patrol because he came along with things we had to do. But we knew nobody else; we didn't know any other patrol. In fact with patrol members, there were two or three patrol members one only knew by Christian name or by nickname. You weren't introduced to them and I knew where Tony lived and where another chap who was a school friend of mine lived, but where the other three lived I had no idea at all. We just used to turn up for meetings and exercises together. It wasn't until the reunion on the fiftieth anniversary of the stand-down in 1994, that one began to realise how wide an organisation it was. At that reunion, I met somebody that I used to play rugby with in 1941, and didn't even know he was in the Auxiliary Units until then, although I had known him for all those years. Considering the state of the armed forces following Dunkirk, we were very quickly and very well equipped. 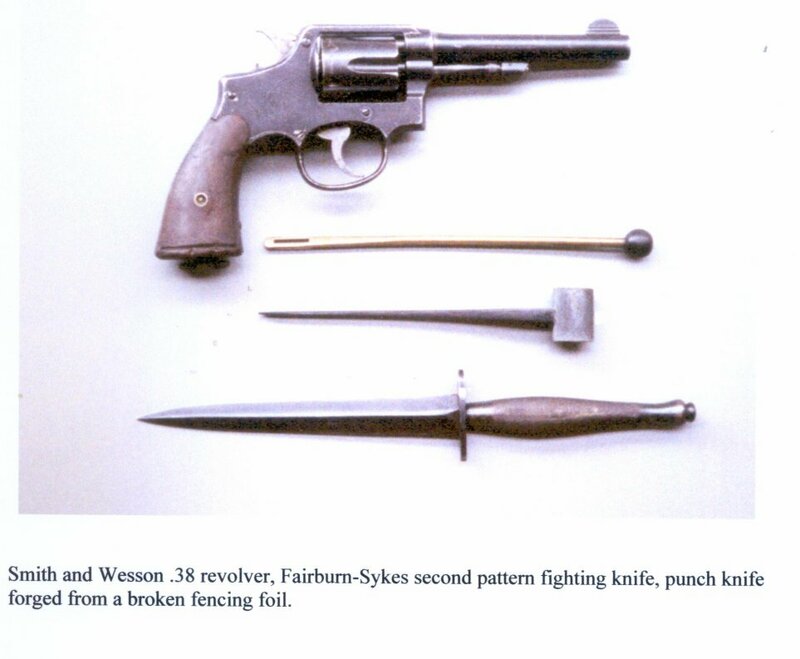 I can't say how soon it was, but it was in a matter of a month or so, were issued with a Smith & Wesson .38 pistol (top of picture right, with it's cleaning tool immediately below it) and holster, and a Fairburn fighting knife (bottom of picture right), the same type that was issued to the Commandos. We had two P17 rifles which we scrounged, or won, from the Home Guard. I don't know whether they knew they had disappeared or not but they turned up in the patrol. We had sticky bombs, and the standard hand grenade. We also had a considerable supply of gelignite and plastic explosive. So we had quite enough stuff to make quite a loud bang! This used to turn up on odd occasions at my friend Tony Bentley-Hunt's house. He would get a message to say that some transport would be arriving with some bits and pieces, and a fifteen hundred weight truck or a Jeep. Not a jeep, rather a small Land Rover type vehicle would turn up with some of this ammunition in it, which was unloaded into his garage. From then it was moved to a bomb store, which we had at the top of Bathwick Hill and Claverton Hill in an old quarry. We used to use the old explosive hut in the disused quarry to store the spare stuff. Besides the explosives, we had standard detonators, we had Bickford fuse, time fuse, and instantaneous fuse. We also had several sabotage devices. We had the time pencil (pictured left), which was a pencil about the size of a biro. At one end you could fit a fuse into it; at the other end was a copper tube containing a glass capsule containing an acid and the firing pin was held back by a wire. According to the strength of the acid, when you crushed the fuse the wire would burn through, and you had delays of one hour, two hours, six hours, I think, and we had a few ten-minute ones which we used for practice. We also had an 'L' delay fuse. There the firing pin was held back by a wire which was made up, I think, of a cadmium lead alloy having various tensile strengths. When you pulled the safety pin out, the spring put tension on the wire, and according to its tensile strength it stretched and fractured in a particular time. We had pressure and pull switches. Pressure switches consisted of a firing pin held back by a wire, with a small pressure pad that you put on top of the wire and any load on it would cut through the wire and release the pin. The pull switch (pictured right) operated in a similar way but under a trip wire tension, so that you could set off a booby trap with that sort of thing. I forgot to mention, while I was talking about our weapons, but quite early in 1941 we were issued with a Thompson sub-machine gun, the point five American automatic weapon. We had a couple of fifty-round magazines and if I recall, about half a dozen twenty-round magazines. We didn't like the fifty-round magazine because when it was loaded and on the weapon it would rattle when you carried it about, and it was very difficult to move quietly with it. So we opted for the twenty-rounds, and we taped them together with some insulating tape end for end, so that you could put one into the weapon. When that magazine was empty, release it, turn it round quickly and put the second one in all in one movement, giving you a forty-round facility. We also had a .22 Winchester Model 74 repeating rifle. It was a five-shot .22 rifle with a telescopic sight and a silencer. We had quite a lot of fun shooting rabbits with this one because you could get up to the warren and shoot across at them with the telescopic sight, and hit one, and the other one didn't even know anything had happened. Two of us were members of the Batheaston Small Bore Rifle Club and we used to shoot there once or twice a week, so we had plenty of practice shooting with a .22 rifle. Besides the weapons we were issued with, we naturally made one or two side arms for ourselves. A pickaxe handle with studs in it, cut short with studs in it, we carried as a truncheon, and we also made garrottes out of cheese-wire and handles. One of the more interesting things we had was a punch knife (just above the fighting knife in the collection of weapons pictured a little way above), because the holster we had for the thirty-eight Smith and Wesson had a small slot in it in which the cleaning rod was kept. We removed the cleaning rod and made a punch-knife that would fit into that, but a couple of us were playing around with fencing in a fencing club and we came across a number of broken foil ends. Well as I was training to be a teacher of handicraft, I had the facilities of the local technical college workshops at my disposal, and we forged these foil ends into a stiletto type knife about five, six inches long, and then the tang of the blade we put through a piece of round brass at right angles to it so that you could hold the round brass in your hand, which we knurled on a lathe so it wouldn't slip. You hold the round piece of brass in your hand, the blade would come between your fingers when you made a fist, and if you wanted to you could then punch and drive that in. At least we didn't have any practice, we just assumed it was the sort of thing you could do. But that was carried instead of the cleaning rod in the pistol holster. It is an interesting coincidence, that the Mike Jones in this patrol was the son of the Jones family that was mentioned in Martyn's story. The patrol consisted in the beginning of Jack Wyld, the sergeant, myself, Tony Bentley-Hunt, John Denning (also called Dunc. Denning), Mike Jones (J M Jones), and, in the early part of 1941 I should think it was about May time, we were joined by Arthur Hannah (A C Hannah or Buster Hannah) who I now believe is in Australia. At the beginning of 1942 we were joined by another school friend who came back to Bath from London, Gordon James, and a little later by Paul Dahl and Arthur (Squeak) Fieldhouse. Our initial training was done with Jack Wyld, and to start with I suppose you would call it a bit 'do-it-yourself'. 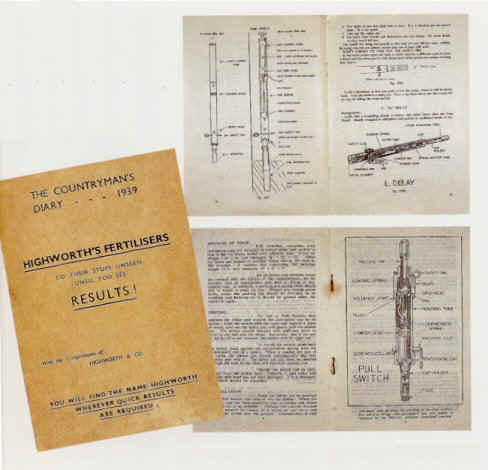 We were issued with two booklets, one was in the form of a calendar, 1938 calendar, and the other was a buff covered booklet which on the front of it had, if I remember, The Countryman's Diary 1939, and it was issued by " Highworth Supplies" and there were remarks relating to Highworth on it. (See also "Further Reading" at the bottom of this page which shows how reproductions of these booklets can be purchased). More of Highworth in a minute because that is where the formal training took place. Our initial training then was based on these two books which gave you basic information on fuses, detonators, how to wire up a basic charge, how the standard grenade worked, how a sticky bomb worked, how your delay and pressure and pull switches worked. But we were fortunate in having Jack Wilde as the sergeant, and, as I say, everything was on a need to know basis and I am not quite sure as to what his background was, but I would guess that he was a quarryman from one of the stone quarries nearby, probably at Box, because he had a very good knowledge of explosives, could wire up charges, showed us how to make string charges and things like that. So we got a good instruction from him on handling the explosives. And the booklets we were given were fairly self-explanatory and one could, using plasticine instead of explosive, practice making up of charges. In the spring of 1941 more formal training started. 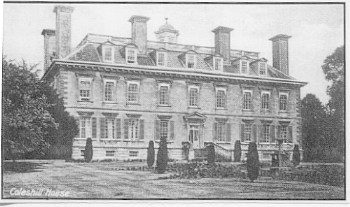 Colonel Colin Gubbins, who had been instructed in early 1940 by Churchill to set up an underground resistance, had set up headquarters for the Auxilliary Units in Coleshill House. This was an eighteenth century house (pictured left) just outside of the village of Highworth, which is - oh about six or seven miles north of Swindon, Wiltshire. It was at this house that the training took place. We would have to report there, and it wasn't really until I went back there in 1994 that I really knew where the place was, although I had visited it twice. We would get instructions to, of report to the Post Office in Highworth (pictured right). The Post Office in Highworth was run by a white haired lady, Mabel Franks. If you arrived there without transport you would say to her that you had been sent to report to her for the Auxilliary Units and she would say something like "Oh you're one of that lot are you, just a minute", and she would go to the back of the Post Office, telephone somebody or other, come back and say "Oh there'll be with you shortly", and some fifteen or twenty minutes later a van or private car would turn up and drive you to Coleshill House. They must have taken a roundabout route to get there because it was never direct. And if you went by train and arrived at Swindon station then you would ring the Post Office in Highworth and transport would be sent there for you. The house, I believe, was still occupied by its owners, but outside the house there was the Clock House, which was a quite substantial dwelling, called the Clock House because it had a clock tower on the front of it, and there the officers and the admin were situated. Behind the Clock House was the stable yard, which was quite a large cobbled yard with big buildings and stables around three sides of it. People who came there for training would work in this area. As I recall we did that on the first floor of the building, which was a large room that had bunks down either side and tables down the middle and we would sleep, you would eat and work in that room, get our lectures and talks in that room. I think too that in the stable yard in those days there was a wooden building, a wooden kitchen, and we used to go down and collect our meals and take them back up into this upstairs room and to eat. But, as you can imagine, the training was very, very intensive and you didn't get much sleep. Patrols from all over the country used to come to Coleshill, and when we went, we would arrived there on the Thursday evening and start almost immediately once you had been shown your bunk and that and given a cup of tea, been talked to, and we worked through until Monday, and leave on the Monday. The training was very comprehensive and was given by officers were from different Army regiments. I don't know how many there were, I think four or five of them, and a number of Army personnel from the Lovat Scouts, who were a sort of commando unit. Training gave us more information on the use of explosives and explosive devices. We were shown TNT, gelignite and the plastic explosive which we had been issued with. We were told how to estimate the size charge that would be required for a certain job, shown the best place to place a charge to bring down a pylon or cut a railway line. We were also shown how to set up different types of booby traps, and techniques for disabling vehicles. Besides this sabotage training we were also given some training in personal defence. We were introduced to basic unarmed combat and shown how to use the garrotte and how to use the Fairburn knife that we had been issued with. I can always remember being told to strike upwards and keep your thumb on the blade in case the knife twists. Fortunately one didn't have to do that sort of thing. We were also given instruction in covert communication:- ways in which signs and messages could be left by placing stones and sticks; the way to use dead letter drops for hiding messages and show that the letter drop had been seen, or had not been seen. We also had instruction in some woodcraft, how to move about silently and how to find somewhere to hide and how to take cover. One lesson that was drummed into us was if we hear people moving about stay dead still, they can pass right close to you and not see you, and this was demonstrated on one or two occasions how you could walk right by somebody even though you were aware somebody was there and still not actually see that they were there. We did two night exercises. We were shown first of all a plan of, of the area around the Coleshill House by the yard where vehicles would be parked. And then we were taken out some three or four miles in a van, dropped off and given a direction to set off in, and work in pairs to get back and try and get to one of these vehicles and put a chalk mark on it, to show that you had found it and put it up. As you did that there were one or two patrols out, patrolling the area which you had to cross, and you had to dodge these to get in. It was all good Boy Scout stuff, and it was quite fun provided it wasn't raining. As you can see there was a lot covered and it was very well done. They had the training down to a tee. No time was wasted. Things were pushed home, repeated, demonstrated and then left for you to practice. When you went back to the patrol you had all this in your head, and, of course, in the patrol you tried to practice it and work it out and go over it again and talk amongst yourselves about what had happened. But you did get the occasional visit by one or two of the chaps, from the Lovat Scouts particularly when you were building up your operational base, so that they could see where it was and give you advice, and they would also look over a map of the countryside with you and point out possible target areas and, and things like that. You couldn't communicate with them and ask for help, but, as I remember, over the couple of years I suppose, in the first year they turned up two or three times to see, to see how we were getting on. Captain Ian Fenwick commanded Somerset Auxiliary Units from 28, Monmouth Street, Bridgewater. This H.Q. later moved to The Lodge, Bishop’s Lydeard, near Taunton. 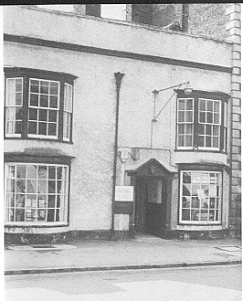 Stores were held at Bishop’s Lydeard. Further organisational details can be found in the book, Somerset versus Hitler. On one occasion we had a brief visit from Captain Ian Fenwick. Captain Fenwick was the Regional Intelligence Officer. That was, that he was in charge of the Auxilliary Units in the whole of north Somerset and was based, I believe, in Bridgewater. He was later killed just after D-Day with the SAS operating behind the German lines, in a jeep with a small group of SAS people. We used to meet as a patrol once or twice a week and at weekends, and there were three main things which we did. The first was to prepare and organise our operational base and observation posts. I'll deal with the operational base (usually shortened to OB) in more detail a little bit later on. The second was to fully familiarise ourselves with the countryside. We walked miles, both through the open countryside and also through the urban areas. We wanted to establish quick routes, possible places where one could lay up in the town, where each alleyway went to, possible doors into gardens and houses, short cuts and things like that so that if we had to move about the town we knew it backwards. This was quite an interesting exercise because on one of our tours around we came across one of the places where an Admiralty Auxilliary patrol was. The Admiralty had moved to Bath, they had their own Home Guard unit and within the Admiralty they also had five Auxilliary Units. Anyway we found where one of these had started digging its OB and we amused ourselves by climbing up on the woods occasionally and watching them at work. We were pleased to know that they were there and they didn't know where we were, but we were the local boys so we felt quite secure on our own patch. At the 1994 reunion I sat down next to a chap and got talking and found out that he was a member of the Admiralty patrol whose OB we watched being constructed. He was most surprised to find out that we knew exactly where it was, and could tell him what was happening. Ack-ack was a commonly used term for an anti-aircraft gun battery. About two or three miles to the west of our OB was Claverton Manor. This is now the American Museum. Then it was the headquarters for an ack-ack unit. To give ourselves practice we used to infiltrate the grounds, lie up in the bushes and log vehicles in and out, watch where the sentries were, and take notes on what was happening. We thought that perhaps if there was an invasion, this building could possibly be used by the Germans as a headquarters so it would be interesting to try and sort it out. I don't know what the Regular Army would have done or thought if they had found us trespassing on their properties, but they didn't, so fortunately that problem didn't arise. In the valley below the OB was the railway line that came up from the south coast and a couple of miles to the west it joined the main London-Bristol line. At Bathampton, where the junction was, there were the points, and we considered that this would be an important target in the event of an invasion. So we used to reconnoitre the line and inspected the points and junctions and estimated the size charges that would be needed to put them out of action, and, in fact, made up three or four charges in readiness. Explosives training took place in the remoter areas of the woods lining the Limpley Stoke Valley. This was limited because of the noise and to conserve stocks. Practice with the actual equipment was limited because firearms and explosives are noisy and attract unwanted attention. We did do one or two limited experiments with fuses and explosives just to satisfy ourselves that we knew that they worked, and really left it at that. We experimented too with incendiary devices because you could get a nice blaze and they weren't quite as noisy. One of the things we found very early was that it's not easy to light a piece of fuse if it's windy or wet. Matches show up at night, blow out, and even lighters with wind guards on them give a light which give you position away. So we did devise one device which enabled us to light fuses under most conditions. At this point in his narrative, Bob went into a lot of detail, describing how anti-personnel and incendiary devices could be constructed from everyday products and how they could be placed for maximum effect. No matter how emphatically I included a Do not try this at home warning, somebody would, and from Bob's description, the outcome could be deadly. I have taken the only safe option and have omitted this information completely. These devices by today's standards were a bit simplistic, but they were the materials we had to hand and it was an emergency, and we were making do with what was available. Now for the OB, or Operational Base which we were going to use as a hideout. This had been located by the sergeant, Jack Wilde, and was where the old stone mines were, on Hampton Rocks. 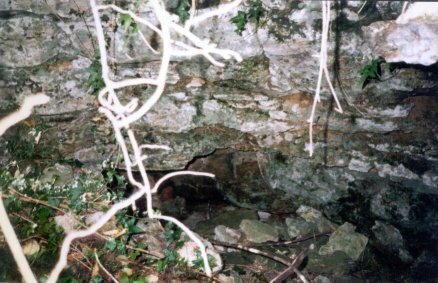 These mines dated back certainly to the beginning of the nineteenth century, I think, and were in a state of collapse and disrepair. This was in the autumn of 1941, as far as I can remember, and we were instructed to undertake sabotage against aircraft parked on the perimeter of the airfield at Colerne, the RAF airfield at Colerne, which was defended by the RAF Regiment. We were to get no further briefing except that the attack was to take place in the early hours of the Sunday morning. As we had previously reconnoitred the area, we thought we had a pretty good idea of the lie of the land. Our plan was to approach the target as a patrol and then split up and work in pairs. We arranged a sign between us for identification. The Morse letter 'X' (da-dit-dit-da) which could be tapped, or flashed on pencil torches which we had, whistled, or used, so it was our identification mark. We rendezvoused as a patrol with the sergeant at the Three Shire Stones on the Bannerdown road out of Bath, and then proceeded around the edge of Westwood Farm down into a valley. Around the edge of the valley, following the stream and worked our way up towards the road. As we approached the hedge bank, which aligned alongside the road, three of us stopped and Sergeant Giles moved ahead at this point to see what was about. Unfortunately for him and us, unbeknown to us, they'd built a Lewis gun post just down below the road and he was spotted and caught. We heard a shout in the dark of "oh we've got one of the buggers", and then John created a loud disturbance and a lot of noise. We could hear him being taken across the field to the, to the road, but we waited a minute or two and thought "well, we can only go on". So we crawled on our stomachs along, under the hedge, and spotted the sandbags of the gun pit, and lying on this, on top of the sandbags was the Lewis gun. And we could hear no sound or hear anybody about, so we thought "in for a penny, in for a pound", and gently removed the Lewis gun from the top of the sandbags and crawled further along in the hedges and laid quiet. It wasn't long afterwards that we heard a shout of "the bloody gun's gone", and more noise and more disturbance in the direction of the gun pit. We now had to cross the road to the perimeter of the airfield. When we found the gun pit, we planted two small charges with ten minute time fuses, they were the practice ones we had, and we thought that this would create a disturbance and perhaps distract attention away from us. So we set up the Lewis gun by a farm gate pointing down the road so that if we were spotted we could use it to our advantage and waited for the bangs. When the bangs went off there was further noise from the sentry people who must have been, what, about 400 or 500 yards away down the road. So we thought it would be safe to cross the road. So one stayed with the gun and the other two rolled across the road into a ditch, which we knew was on the perimeter of the airfield. Then as the gun was a bit big and noisy we decided that we couldn't really take it with us so we tucked it in the hedge and the third person rolled across to join the other two. We proceeded along the hedge towards what is now a restaurant - The Vineyards. Then it was, I presume, a farmhouse, and through the side of the farmhouse there was a gate into a garden. We could see a little way down the road the RAF Regiment standing in the road talking and muttering amongst themselves. So we slipped through into the garden and there was a bean fence and we could lie down behind the bean fence, and waited to hear what happened. While we were there we saw the sergeant being taken out of the house down towards the, sort of a small outhouse in the garden. And the door was opened, he was pushed in and one chap went in with him so we assumed that he was there and this one chap was going to look after him. We then wriggled across the ground to the door of the hut and hoped that it would open easily, hoped it wasn't going to be locked or bolted on the inside. We rapped on the door the Morse letter 'X' so the sergeant would know it was us on the outside, put our shoulders to the door and burst in, and fortunately there was one rather weak lamp lighting the place up. This chap who was supposed to be guarding the sergeant was lying on one bunk and the sergeant was lying on the other. So we promptly, with the rush, charged upon him and said "right mate, you've had it". We left one of the patrol in the hut to look after the prisoner and the sergeant, myself and Mike went to The Vineyards. We crawled across the ground. The cover was good so it was quite easy to get to the wall of the house, and we stayed there to see what was going to happen. Somebody came up from the road, knocked on the door. We heard a voice inside shout "Come! ", the door opened, and he went in, and a few minutes later he came out again. So we thought "well, if he can go in so can we". So we knocked on the door, there was a shout "Come!". So we flung open the door, barged in brandishing our pistols and fighting knives and trying to look fierce. In the room was a captain, and from the name on his desk he was Captain Hope-Paul. There was a flight sergeant and another captain who had a white armband on, who was obviously an umpire for the exercise. So we turned to the umpire and said "we think we've managed to take over this office". Oh I forgot to mention too, in the hut when we rescued the sergeant we found under one of the bunks two boxes of Mills bombs. So we helped ourselves to two Mills bombs each and we had those in our pockets. So we said "we've got these Mills bombs, we're armed. We were taught how to sort people out, we would take this place over". So the umpire turned to the captain and said "I am afraid to admit that they've got you". Well, I've never seen anybody as mad as the flight sergeant, and heaven knows what he said to the chaps the next day, but he was literally purple with rage. So while we were standing there wondering quite what to do next, we were surprised by our own success, there was a knock on the door again. So the sergeant waved to Mike and myself to stand either side of the door and he put his hand on the door and shouted "Come! ", and as the door was opened he dragged it opened and the chap tended to stagger in and we jumped on him and said "right you're now our prisoner". As he came in he had said "I've got the patrol outside to collect the prisoner sir", and that was when we pushed him over. So we said to the umpire "I don't think so", and he said "no, once again, no, that's alright. What are you going to do now"? And we said "well, we have timed explosives, we'll deposit one or two of those in the building and proceed through the back into the airfield where the aircraft are". He agreed and we went through the back door. Oh - we also said.... "There was a telephone up there. Obviously that if this was for real that we should damage the telephone". By this time it was the early hours, in the, very early in the morning, about half past five in the morning and the exercise was due to finish at six. So we thought, we decided we would call it a day, because if it was the real thing, we could have proceeded to the perimeter where the aircraft were parked and put explosives on the aircraft. So we then came back, and it was about a five mile walk back home feeling very, very pleased with ourselves. Bob Millard has also provided his memories of the Blitz Weekend which you might want to read next. The British Resistance Archive, researched and maintained by the Coleshill Auxiliary Research Team (or CART as it is now known) has its own website http://www.coleshillhouse.com, which has a lot more background information. Bob has contributed his own page to their website, and appears on their latest DVD. The training manuals which Bob refers to have been replicated by CART and can be purchased singly or as a set from their Website Shop. 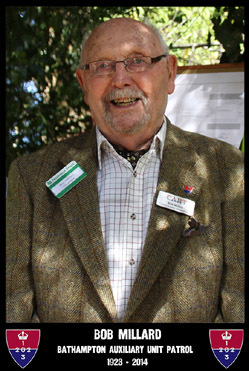 Bob Millard died peacefully on 15 March 2014. 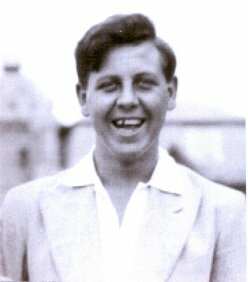 This picture (from the British Resistance Archive website) is the most recent one of him we could find. The Coleshill Auxiliary Research Team has prepared and published an excellent obituary, and we think that anybody who has read Bob's story above, or has an interest in the Auxiliary Units which Bob worked so hard to make public and have recognised as an important part of the war effort, will appreciate this link to it. RIP Bob. We will always remember your helpful e-mails as we pieced together the events of the Bath Blitz.